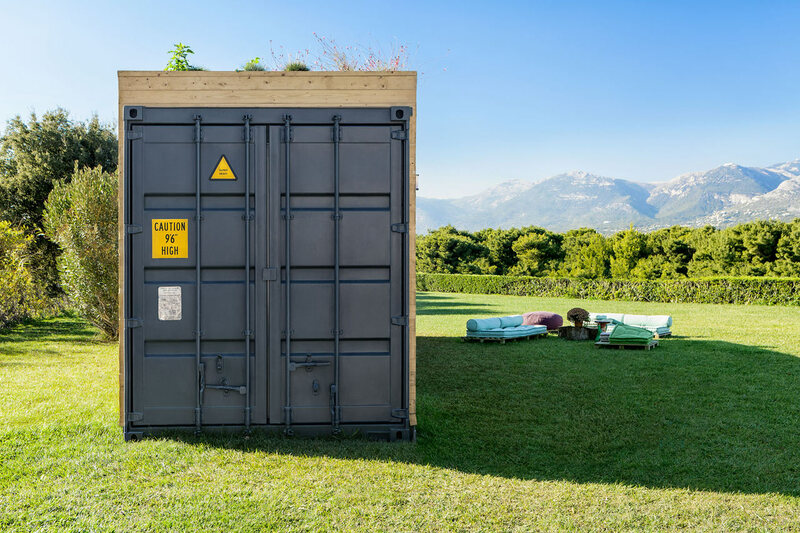 Athens, Greece based Cocoon Modules has partnered up with natural mattress brand COCO-MAT to turn a shipping container into a place someone would actually like to live. 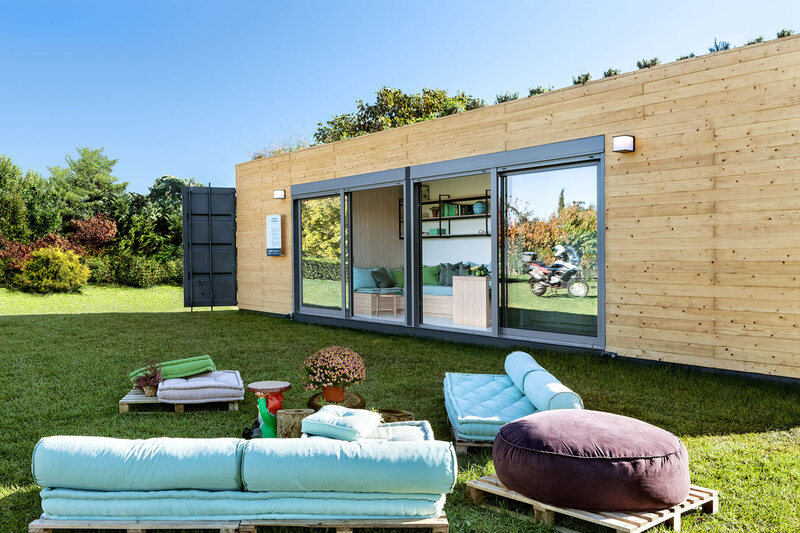 The container architecture startup takes old shipping containers and creates ideal modern dwellings for nomads, emergency housing, or people looking for a weekend home. 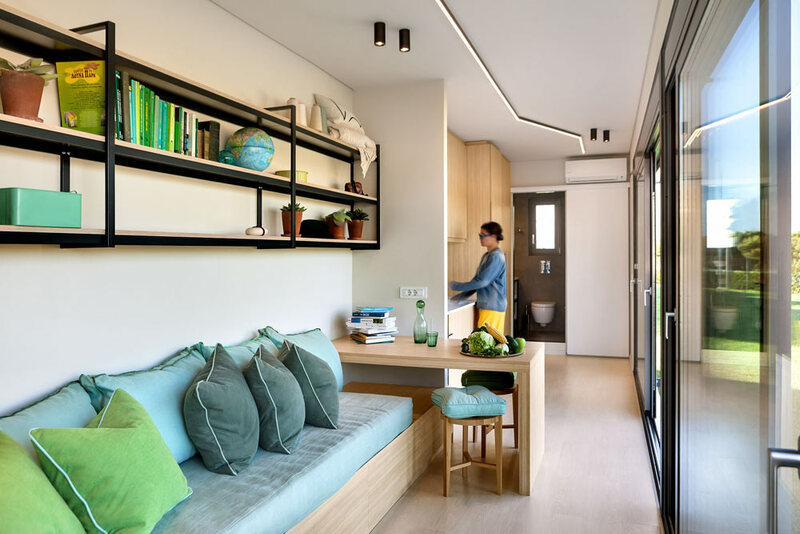 Their idea is to design units that are modular and can be moved if need be, while being outfitted with everything needed when the keys are handed over. Each unit only takes 6 weeks to complete before being delivered to its location making it a much more affordable option than other prefabs. They’re able to keep manufacturing costs up to 50% lower than conventional construction methods. 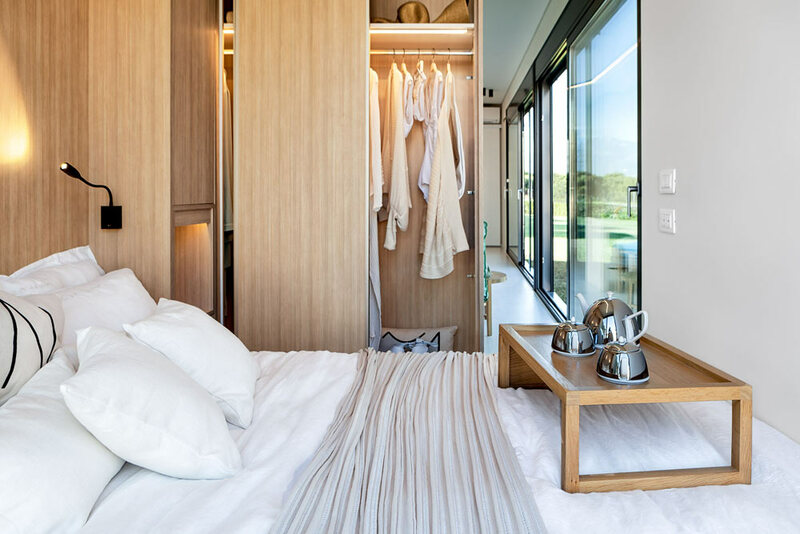 Inside, the unit houses everything one would find in a regular sized home or apartment with plenty of storage and beautiful wood finishes. 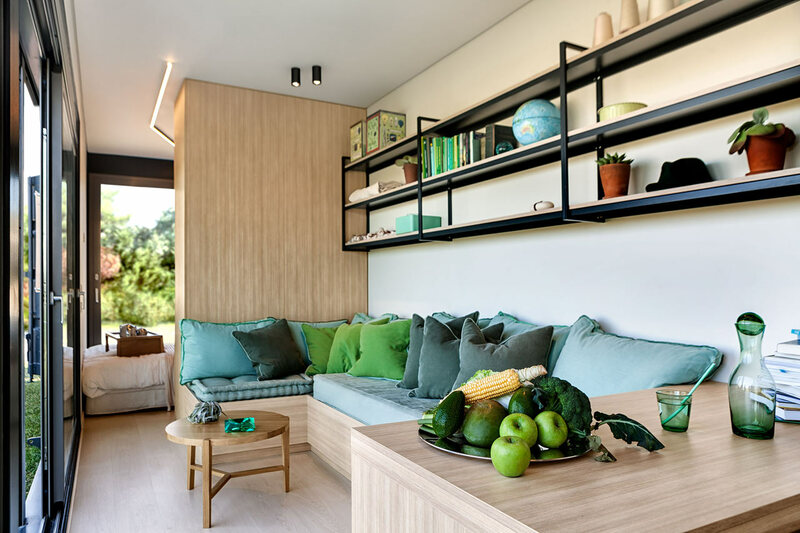 The large sliding glass doors make it feel larger than it is with wide views of the surrounding landscape. This prototype is available for viewing at COCO-MAT’s headquarters in Kifissia, Greece, if you happen to be in the area and want to check it out. 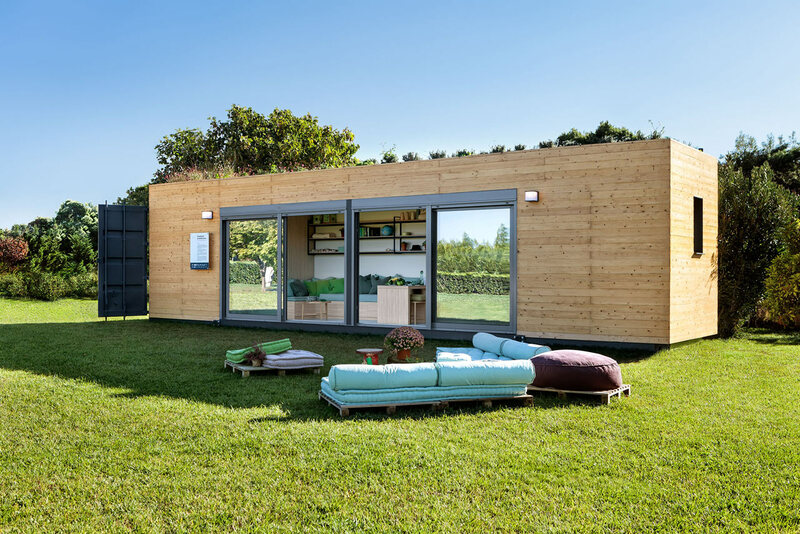 And don’t forget to check other eco shipping container homes: Prefab Shipping Container Homes.